Donegal Rapeseed Company Ltd has received an Invest NI Grant for Research and Development, supporting company innovation in services, products and processes. 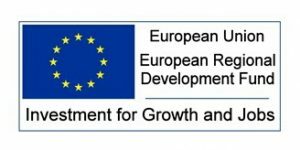 Part financed by the Investment for Growth and Jobs Programme for Northern Ireland co financed by the European Regional Development Fund. The Nutritional Research & Analysis Project will be implemented over the year and aims to add value to the nutritional element of rapeseed oil.